Over 1700 devotees from Shimoga district of Karnataka are arriving this evening on a three-day ‘Prema Yatra’ starting from tomorrow. Coinciding the occasion there will be a music programme entitled Sri Sai Sankirtan by Sringeri Nagaraj tomorrow evening in Sai Kulwant Hall. The Guest speaker Hon’ble Justice Sri Radhakrishnan’s beginning sentence addressing devotees from Kerala, “all the efforts that we have taken to assemble here is worth as you do not have Onam in Kerala as it is here” rightly reflected the holistic approach the festivity brings in to God’s Very Own Prasanthi Nilayam. 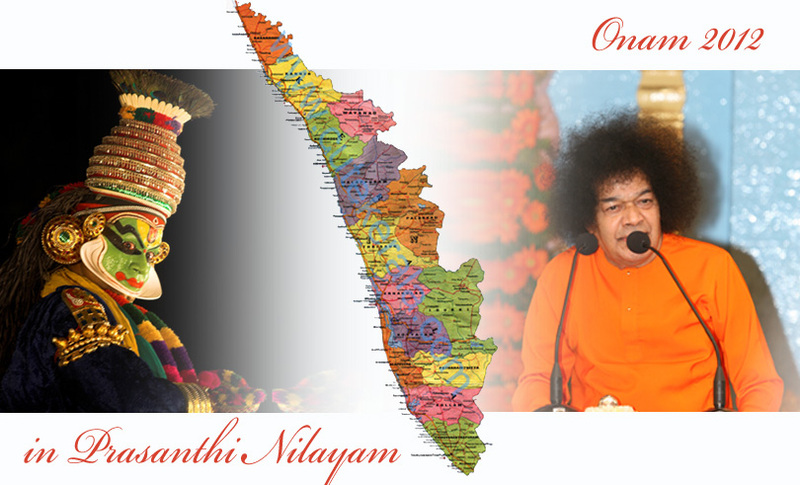 Onam has always been a different experience in Prasanthi Nilayam compared to the ‘home’ experience. Where, in modern times, culture, traditions and the legends connected to festivities take a back-seat owing to unhealthy culture of commercialism and excess materialism, Prasanthi Nilayam often welcomes the holistic side of all festivities, embracing and disseminating true purport of each festivity. 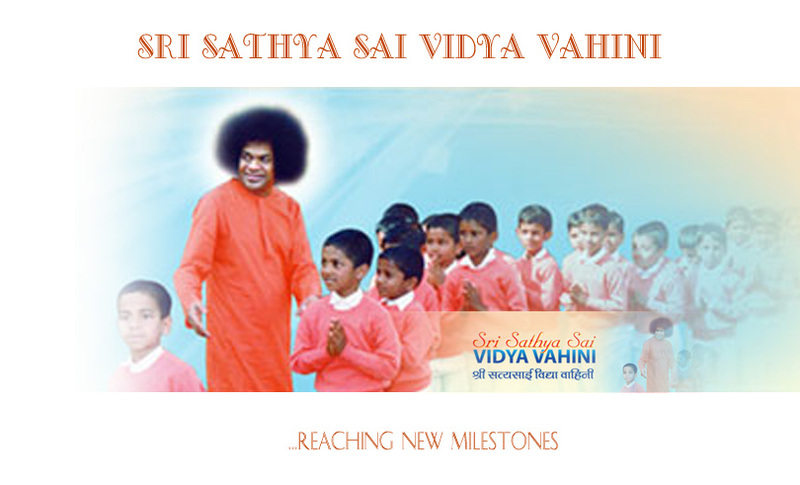 Bhagawan’s pet project announced during the 85th Birthday celebrations, Sri Sathya Sai Vidya Vahini, that aims at integrating values in an innovative way into the school curriculum, got a big fillip last week as its newly developed comprehensive web application was offered at Bhagawan’s Lotus Feet on August 25, 2012 in Prasanthi Nilayam. “I am a 14 year old Grade 9 student at the Highland Junior High School in Toronto, Canada. 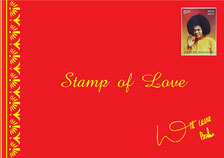 Recently, I had, I hope, the good fortune of experiencing Bhagawan’s Grace. I told it to my parents. They were very pleased. They shared it with some of their friends at Sri Sathya Sai Baba Centre of Toronto. One of them suggested that I should share the episode with the readers of ‘Sanathana Sarathi’,” wrote little Priya Kumar from Canada, sharing his own experience of Bhagawan’s Divinity…. From Sanathana Sarathi, August 1987. 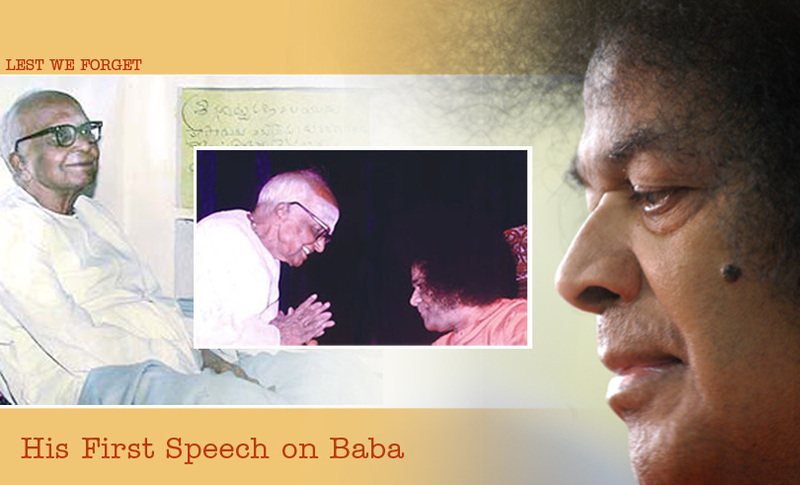 After coming to Baba in the Fifties, Prof Kasturi was for many decades the most entertaining and edifying exponent of Bhagawan’s life and message. But the first speech he had to give on Baba in 1951 was quite an ordeal. The following account of the incident, related in Prof Kasturi’s own inimitable humorous style, is reproduced from his autobiography, “Loving God”. 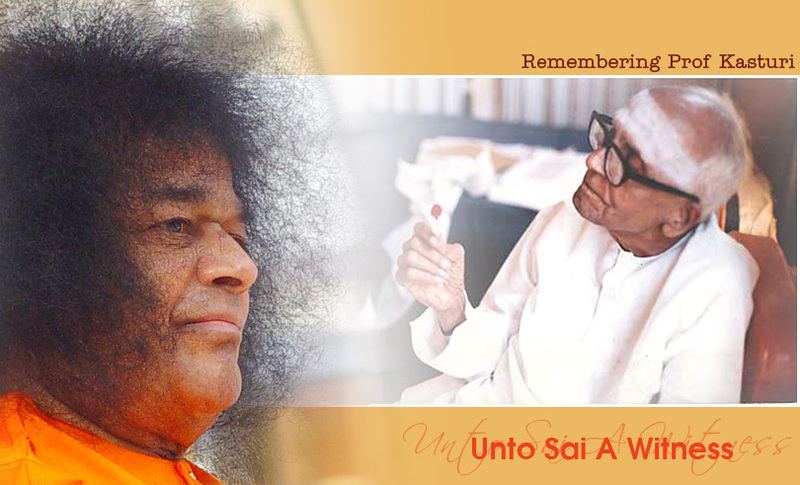 Prof N. Kasturi was undoubtedly the most familiar name in Sai fraternity who lived an astounding forty years in close proximity to the Avatar of the Age, serving Him in His mission in various capacities. The Professor whose genius had many pens in his pocket was His ‘charge d’affaires’ and when the right time for Prasanthi’s premier publishing enterprise arrived it was Prof Kasturi who was ordained to take mission ahead, the mission of Sanathana Sarathi. Remembering the legend, on this occasion of quarter century of His ascent, who was the first Editor of Sanathana Sarathi and the first Convener of Sri Sathya Sai Books & Publications Trust, we reproduce what his successor Sri VK Narasimhan had written for Sanathana Sarathi announcing the ascent of the doyen, merging at His Lotus Feet!